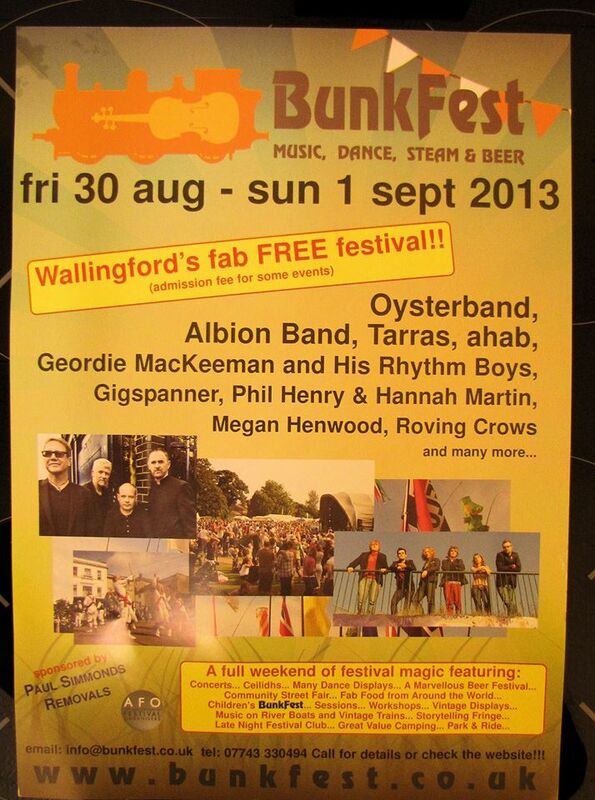 Finally, I made it to Bunkfest. Well at least the Sunday part of the festival anyway. Extraordinary community festival. Lots going on. Probably too many Morris Dancers for my taste but hey, I found the beer tent and the main stage! Crafting tents for small people, dancing (not just Morris-style), local choirs, plenty of stalls, food outlets, many bands (lots local) and an inordinate amount of tie-dye! But the best part was the sun was shining and the festival was just a great excuse to catch up with some ex-colleagues and friends in the area.